We have completed filming 85 videos totaling over 4 3/4 hours of free tutorials on the PFAFF creative 3.0 sewing and embroidery machine. Whether you own this fabulous machine or you are thinking of purchasing one, these videos can help you master every element of your machine or get a better idea of all it is capable of doing before buying one. The PFAFF creative 3.0 is both a sewing machine and an embroidery machine all in one. Effortlessly switch between sewing and embroidery as your creativity changes within a single project. 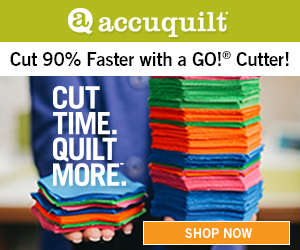 Lots of Space – GREAT for Quilters! The entire line of PFAFF creative machines boast a full 10″ of space across the bed of the machine. For machine quilters, this is almost the new standard of desired space for quilting big quilts. PLUS the extra space opens up the embroidery world to bigger embroidery designs – up to 8″ wide! The PFAFF creative 3.0’s largest embroidery hoop is 200mm x 260mm or approximately 8″ x 10″. This extra large space can embroider the newer, larger embroider designs and in-the-hoop projects. This hoop comes with the machine along with a 5″ x 5″ hoop. You know I love decorative stitches! On the PFAFF sewing machines the decorative stitches are a full 9mm wide giving them a totally new wow factor when stitched out. The PFAFF’s color touch screen makes selecting stitches, creating stitches in the Stitch Creator or editing embroidery designs super easy. Use your finger or the included stylus to easily move designs with simple drag-and-drop ability. Create your own decorative stitches using the PFAFF Stitch Creator. 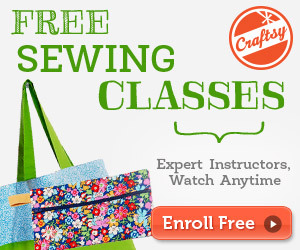 Start from scratch or edit existing built-in decorative stitches. The Pfaff is known for their IDT feeding system. This is similar to a walking foot but it is built directly into the machine. Use the PFAFF IDT when working with stretchy fabrics, sheer fabric or when machine quilting through multiple layers of fabric and batting. Start embroidering immediately using the 157 built-in embroidery designs. Design information, color order and thread recommendations comes in the included printed book. The PFAFF creative 3.0 embroidery machine has two built-in fonts in three sizes. Add lettering and monograms fast and easy to any project. Want more alphabet styles? Download the free Quick Font software from PFAFF.com. All PFAFF embroidery machines have access to the FREE Quick Font software to create additional fonts to embroider. Download the free software from PFAFF.com. Use the PFAFF Precise Positioning feature to align any design to any location. Select any point within the design to align to any point on the fabric. With 1/10th of a millimeter movement, you are guaranteed to find the exact alignment point. Easily transfer embroidery designs from the computer to the machine with the included USB stick. The PFAFF creative 3.0 embroidery machine can use any of the most common embroider formats. VP3, PES, EXP, DST, HUS, etc. And you can update this machine yourself when updates become available. The PFAFF creative 3.0 sewing and embroidery machine offers features of many top-of-the-line sewing and embroidery machines without the price tag. Don’t overlook the features of this machine with shopping for a new machine. We always recommend working directly with your local PFAFF retailer so you receive the service and education included with your purchase. Please, Please, Please do the same for the EPIC. Your videos are excellent and those of us who own an EPIC are waiting for your videos. A class at your shop doesn’t help those of us from far away (Canada). Yes, the Viking EPIC is on the list to complete in the near future. On a side note, your timing is perfect. We just released a new online course named “Embroidery Essentials” that we filmed using the Viking Epic. I hope you will check it out!